The International Air Transport Association (IATA) asked 10,408 air passengers around the world to share their views on the passenger experience. The results reveal what travelers hate about air travel — along with a few surprises. This year's survey covered four subjects: Interactive Data, Transforming the Airport, Seamless Journey, and Aircraft Experience. The airlines group published some results from the Global Passenger Survey (GPS) at the IATA Global Airport and Passenger Symposium in Athens. One surprise in the survey is that passengers are less willing to share personal data in exchange for a more personalized travel experience. While 70 percent of survey respondents said they'd be happy to last year, that number dropped to 65 percent in this year's report. The industry is studying the cause of this significant drop, while conference attendees — which are largely airline and airport executives — agreed that it could be a reaction to recent issues of data breaches at companies like Facebook, Uber, and British Airways. Survey respondents were also very vocal about the things they don't want: 57 percent don't want to go through security screening, 53 percent don't want the hassle of the lines at immigration, and 56 percent don't want to stand around to reclaim their bags as the luggage wheel goes round and round and round. Respondents also want to get reliable alerts from the airline on changes throughout the journey. A growing number of passengers would rather get updates from airline apps rather than by SMS or email. About 82 percent of respondents said they want digital flight updates, 49 percent want information on the location of their bags and a time frame for delivery, and 46 percent said that they would like the airline to automatically re-book them and issue new boarding passes when there are flight changes. Digital isn't the only thing passengers think could be better, though. 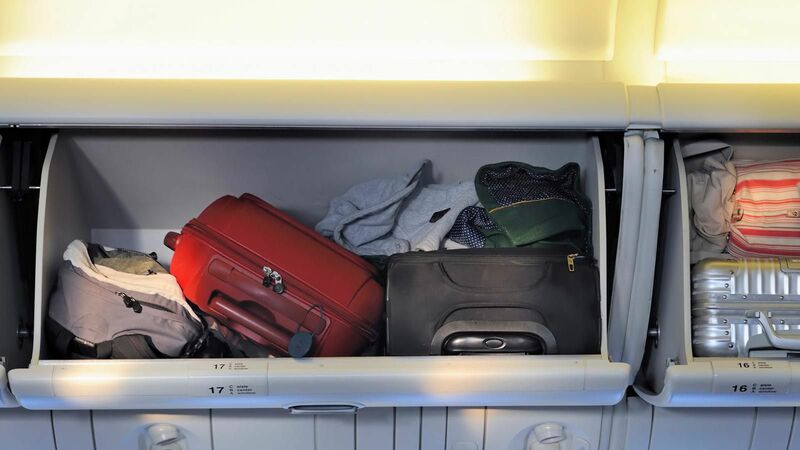 On the plane, 42 percent of survey respondents said that they want more room for their luggage. The survey did not address the contentious subject of the cabin crunch, but T+L asked IATA to give us some exclusive insights on how airline seats measure up. IATA shared the results from a separate Airs@t Passenger Benchmark Survey — an ongoing study of tens of thousands of passengers on 30 major global airlines. It rates cabin comfort by the average level of satisfaction on a scale from Excellent (5) to Very good (4), Good (3), Fair (2) or Poor (1). It turns out that passengers don’t rate airline seats as negatively, when asked, as public grumbling over crowded cabins suggests. For long-haul flights, global passengers rate business class seat legroom as “Very good to Excellent” (4.3), “special economy,” including economy plus and premium economy seating, at “Good to Very Good” (3.4), and economy legroom as “Fair to Good” (2.84). Seat width on business long-haul flights rates “Good to Very Good” (3.86), special economy gets a “Good” (3.39), and economy earns a “Good” (3.04). The survey covered other in-flight elements, with respondents showing an increased preference compared to last year for seat-back screens over bring-your-own-device entertainment options. This may be a reaction to airlines now pulling screens from planes. Conference attendees suggested that device battery life, screen size, and lack of access to premium content (early-release movies) may be why more passengers turned their noses up at streaming entertainment in-flight. At the same time, in-flight Wi-Fi is a must for many. A good number of passengers would like to make last-minute travel arrangements on their way to the destination, with 39 percent saying they would use it to look up flight information and 37 percent saying they would use it to book ground transportation or hotel stays. This year, in response to T+L questions on last year’s survey, IATA fine-tuned its GPS to better reflect the preferences of women travellers. The association also added information on preferences by generation. The results show that women generally like to book a hotel with their airline ticket, are less willing than men to share their personal information, want more space for their carry-ons and don't want to wait more than 10 minutes for their luggage to arrive. Millennials of all genders are even less patient with baggage. They would like to drop off their luggage in less than 30 seconds and don't want to wait more than five minutes to collect them on arrival. These trend-setters are to thank for a lot seamless travel innovations and will push the airline industry to improve on digital services for check-in, boarding and security, including biometric ID. By contrast, Boomers want personal service and prefer paper boarding passes to hand over to agents. They also want a person to help them manage travel disruptions, rather than tapping for a fix on their smartphones. However, Boomers also hate going through the hassle at security and immigration, so at least all generations agree on something.